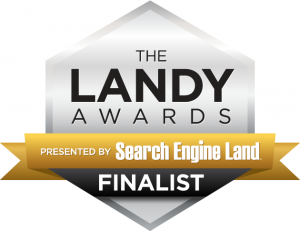 Search Engine Land, a leading search marketing publication, named TriMark Digital as a finalist in three categories for its 2017 Landy Awards. Carefully selected from nearly 300 submissions from top digital agencies, in-house marketing teams and more, this honor recognizes the most innovative strategies in search marketing. For Fairview Garden Center, TriMark utilized an integrated and creative SEO strategy to help increase organic leads by 98% year over year. The team worked with a combination of local search engine optimization, thorough technical updates to aid in conversion optimization and advanced schema markup implementation to increase organic traffic by 36% and thus also increase organic conversions. The team worked steadily over the last year and half to build Fairview’s organic local presence, and it’s now showing in the growth in sales numbers they are projecting for 2017. For Pinehurst Resort, TriMark delivered an impressive ROI through geo-targeted campaigns, extensive keyword research and setting aggressive bid adjustments to better drive reservations and bookings at the resort, spa and on the course. Winners will be announced during an evening awards ceremony and celebratory gala held on October 25, 2017 in New York City. Also known as “The Landy Awards”, Search Engine Land launched the now industry leading program to recognize excellence in search marketing (organic search engine optimization and paid search advertising) as an integral component of the digital marketing landscape. Applicants are evaluated for best practices in core aspects of SEO & SEM and the results driven by search-focused campaign initiatives. A portion of all proceeds from the entry fees and gala event benefits charity. In 2016, Third Door Media donated $5,000 to the Dana-Farber Cancer Institute as a result of the program. Sponsorship of the awards event is independent of the judging and review process, and does not impact the outcome of the results. Search Engine Land is the leading search marketing industry publication with daily coverage of search engine technology and platform news, plus organic SEO and paid search advertising insights for B2C, B2C, Local, Mobile and Retail marketing professionals. Third Door Media is the publisher of Search Engine Land, and was founded in 2006 with the mission to empower digital marketing professionals by providing trusted content and community services they need to be successful. In addition to Search Engine Land and Marketing Land, Third Door Media produces the global Search Marketing Expo conference series, as well as The MarTech Conference which is focused on the management of marketing technologies. Third Door Media also provides a full range of innovative marketing services including lead generation, content creation and licensing via its Digital Marketing Depot brand.